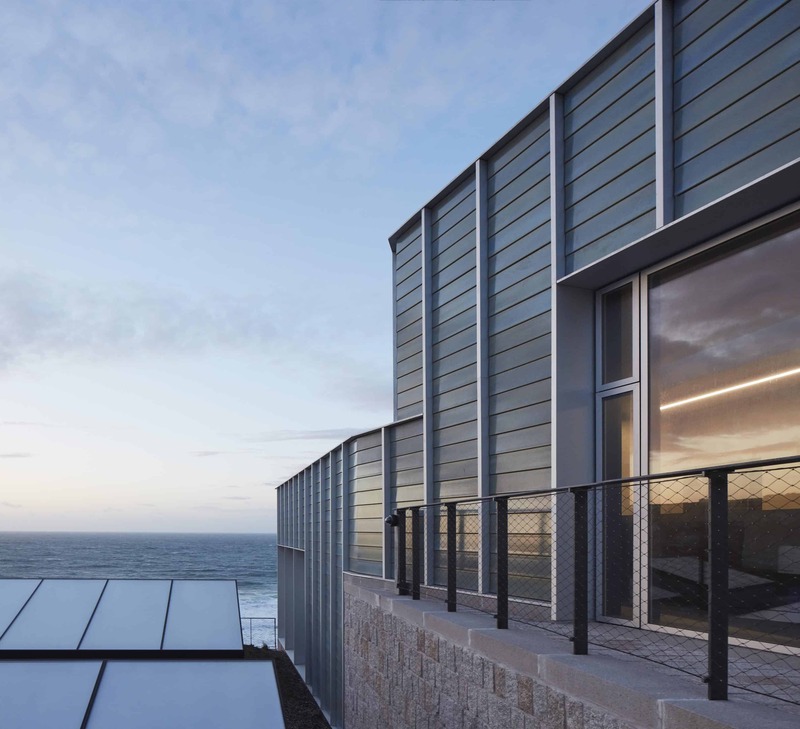 Tate St Ives has re-opened following a four-year building project which has doubled the display space allowing iconic 20th century artists who lived and worked in the town to have a permanent presence together in the gallery overlooking Porthmeor Beach. 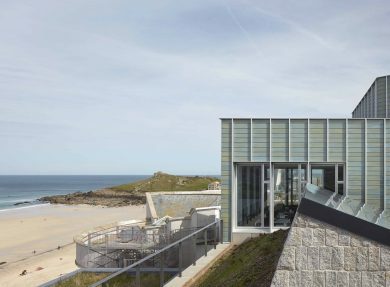 Tate St Ives sits alongside Tate Modern and Tate Britain in London and Tate Liverpool in celebrating modern art. 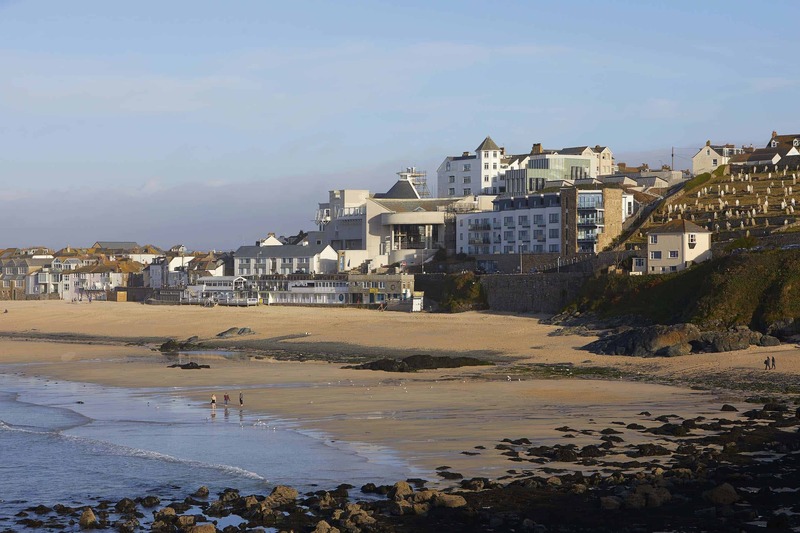 For generations, artists - drawn by light, landscape and the creative community - have made St Ives their home. 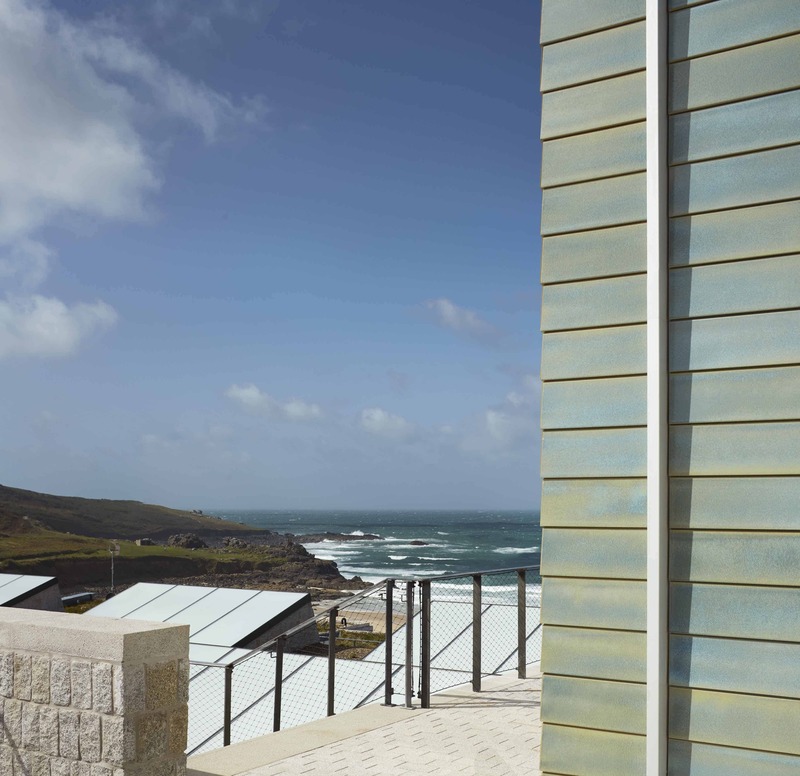 What was missing, until 1993, was a gallery suitable for showing work by these artists who shaped and influenced modern art from their Cornish home. 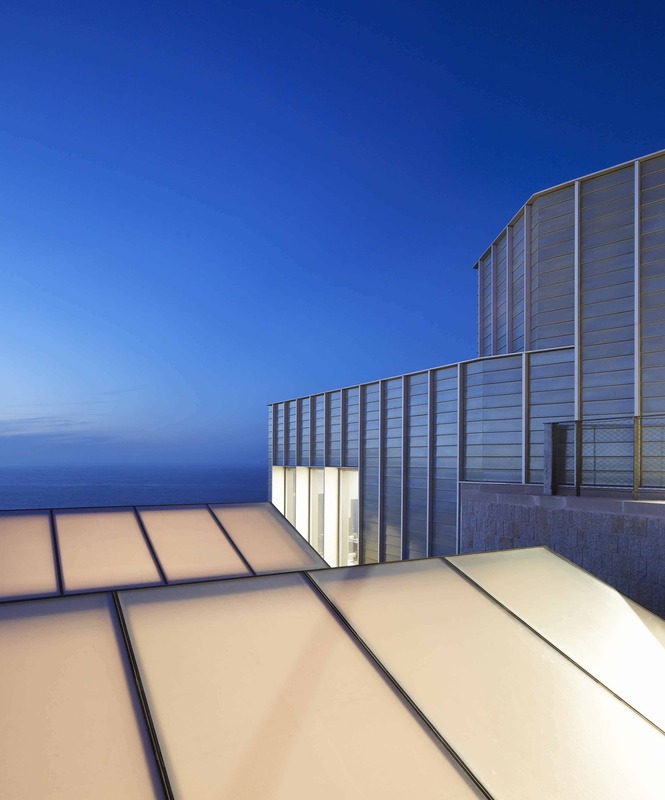 Tate St Ives proved such a success that it became evident that more space was needed, both for art works and visitors. 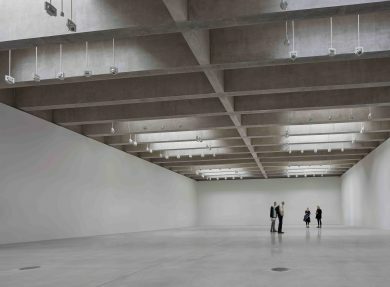 A four-year building project was completed in October 2017 which added 600 square metres of galleries with new studios for learning activities. Part of the work included excavating the hillside beside the original building. 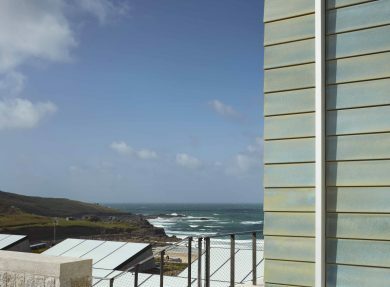 The new building has been clad in handmade ceramic tiles with a blue-green glaze to reflect the changing colours of the sky and sea. 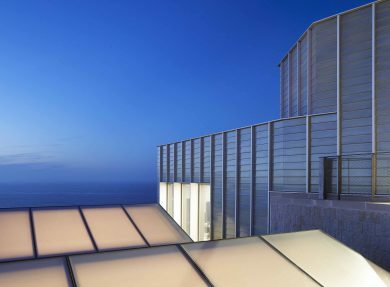 Six skylights flood the gallery area with light and there is a public garden on the roof, connected to the beach below. 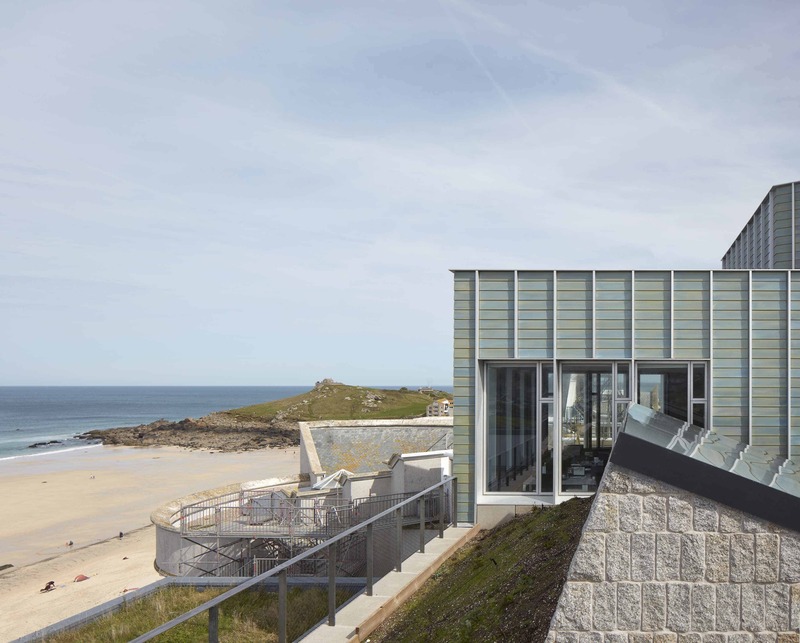 Artists on display include Ben Nicholson, Barbara Hepworth, Peter Lanyon, Sandra Blow, Terry Frost, Roger Hilton, Piet Mondrian, Naum Gabo and Paule Vézelay. The building is every bit as impressive as the art you will find inside. 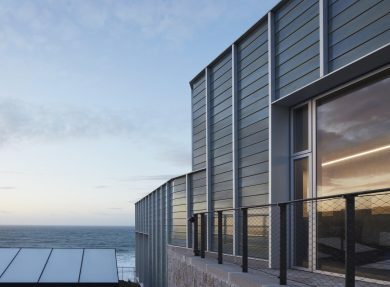 The site is a former gasworks overlooking Porthmeor Beach and the Atlantic Ocean and the curved structure reflects these origins, particularly the rotunda at the heart of the gallery. 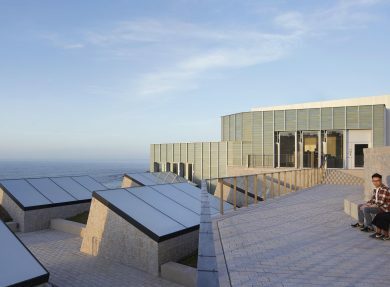 It opened in June 1993 and now welcomes around 240,000 visitors per year, three times the original number forecast. 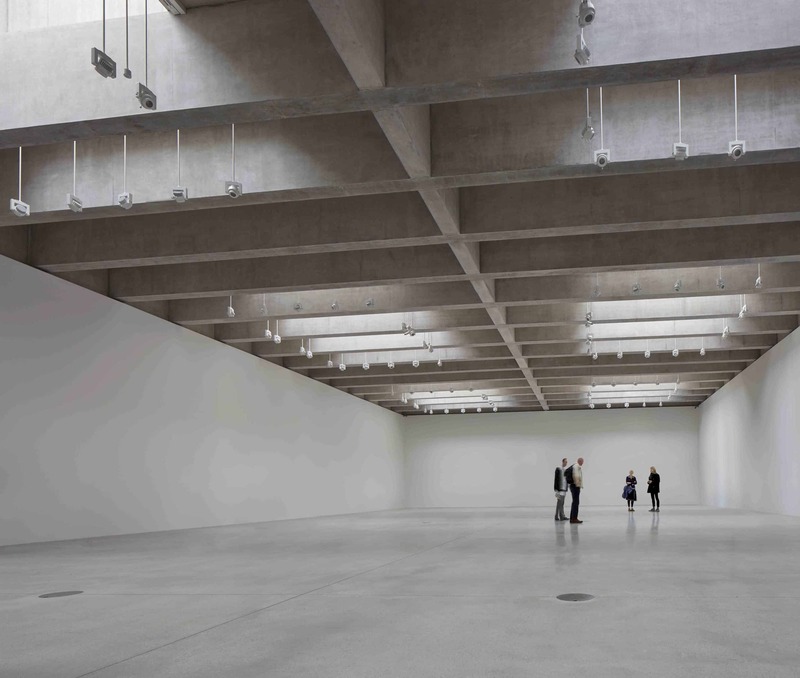 During refurbishment of Tate, the magnificent Clore Sky Studio was added to the top of the gallery with an expanse of outdoor space and a conical shaped roof, which crowns the building. 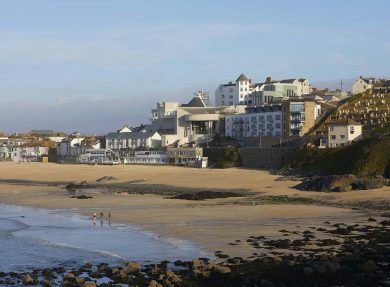 For the first time, Tate St Ives can provide a permanent presence to those iconic 20th century artists who lived and worked in the town, demonstrating the role of St Ives in the story of modern art. There is also a changing programme of large-scale seasonal shows.